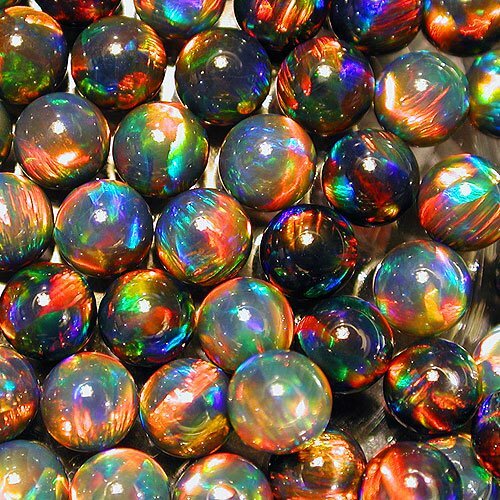 These black spheres are stunning. They are totally opaque and flash every color in the rainbow. 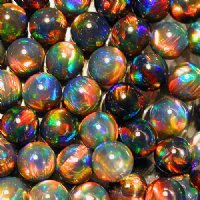 Once encased in glass these opals look HUGE and will catch every eye in the room. Works great as a focal on even the biggest piece.